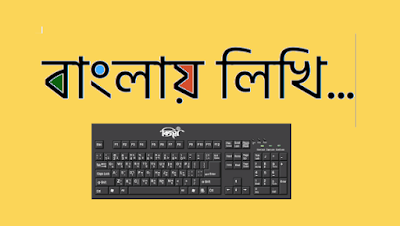 If you want to write in Bangla/Bengali on your Computer, Phone, you must have installed software or application of Bangla Keyboard on your device. Before having Bijoy Keyboard, Ridmik Keyboard it was unbelievable to write in Bangla on Computer & Android Phone respectively. So we are very grateful to both Mustafa Jabbar & Shamim Hasanath. Bijoy Bayanno: Bijoy Bayanno Software is developed by Ananda Computers which is founded by Mustafa Jabbar. You can easily install and use this software for your Windows Computer. But you have to purchase with a little before using this Software. 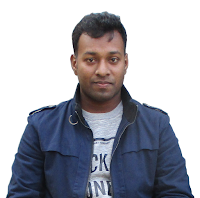 Bijoy Ekattor: The complete version of Bijoy Software for Windows. It offers to write in Bangla by using any encoding. The current encodings are Bijoy Classic, Unicode, Ekattor. Avro: Avro Keyboard facilitates both fixed and phonetic layouts. This software is developed by Mahdi Hasan Khan. It is the second popular Bangla Keyboard in Bangladesh. Ridmik: Ridmik is the most popular and used Bangla Keyboard for Android OS. It is a phonetic Keyboard Layout which allows writing Bangla in English. Recently, they removed Unijoy Layout from Ridmik. Ridmik Keyboard is developed by Shamim Hasnath. Mayabi: Another popular Keyboard for Android to write Bangla. It facilitates both Phonetic, Fixed and English support Keyboard Layout. Bijoy: Bijoy Keyboard is available for Android in Google Play Store. You can use it free. Google Indic Keyboard: If you want to write Bangla without above the software, you can use Google Indic Keyboard Software for your Android Phone. It supports multiple Languages including Bangla, Hindi, Assamese etc. Bijoy Ekattor Mac: Bijoy Ekattor also available for MacOS Computer. Currently, it has three encoding system: Classic, Ekattor, Unicode. iAvro: You can also use Avro Keyboard in your Mac OS to write Bangla, which is developed by Mahdi Hasan Khan. Onkur: This is the first phonetic computer layout for Macintosh platform and it is developed by S.M. Raiyan Kabir. Unijoy: The most popular Keyboard to write in Bangla on Linux based OS. I have found it most efficient. Read, how to install Unijoy in Linux. Avro: Avro Keyboard is also available for Linux based OS like Ubuntu, Kubuntu, Linux Mint etc. Read, to know how to install Avro in Linux Step-by-Step. Bijoy Ekushe: Ananda Publishers by Mustafa Jabbar has released their Keyboard for Linux by introducing with Bijoy Ekushe. To use you have to pay or get permission from the owner of this software. Bijoy Ekushe facilitates Unicode and Classic both version what you may have used in Windows. Read, to know how to install Bijoy Ekushe in Linux. I hope you will enjoy writing Bangla on your Computer and Phone from today. Let's share with us, which Keyboard you are using.